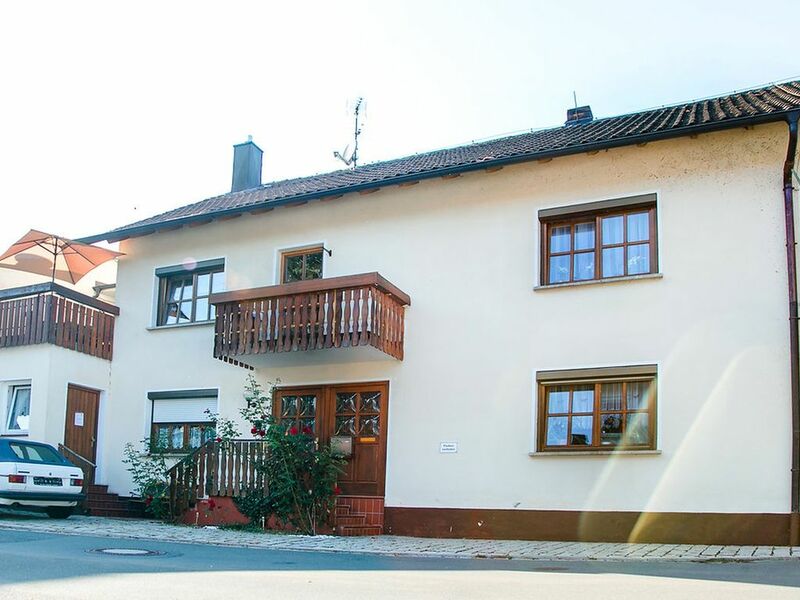 We rent a large holiday home in the beautiful Franconian Switzerland. The house is perfect for hiking groups, large families or birthday parties. At the house is a bike path and a river. It also has a large garden with garden shed (which is ideal for parties or cozy get-togethers) and a sauna. There are also many possibilities to do out-door activities in close proximity. Supermarket, bank, pharmacy, bakery, restaurant and much more. are within walking distance. Really a beautiful house to feel good and relax. Very comfortable and enjoyable stay. Very spacious and comfortable house with everything in good supply, including firewood for the fabulous traditional heater, which contributed to our stay being a really positive experience. A lovely village with a small but well stocked supermarket, a few other shops and good restaurants for when you don't want to cook at home just a few minutes walk away. A small problem with lack of hot water and heating one Sunday morning which was dealt with promptly by the owners with our comfort being restored before long. Unserer Gruppe (10 Personen) gefiel es ausgezeichnet. Wir waren vor allem begeistert von dem Grossen Ess- und Wohnzimmer. Sehr nette Vermieterin, viel Platz, gut ausgestattetes Haus. Freundliche Vermieterin, gute Küchenausstattung, mit Getränkeservice, Sauna ist vorhanden, große Badewanne, sehr kinderfreundlich mit vielen Spielsachen und Kinderbetten, sehr sauber. Geräumiges Haus. Gut ausgestattet. Bei Ankunft waren gekühlte Getränke im Kühlschrank. Top.